To date, the most significant procedural capability the the addition of doctors to the ARHT Westpac Rescue Helicopter has provided has been RSI capability. Of the RSIs performed so far, a significant proportion have been for severe traumatic brain injury (TBI). 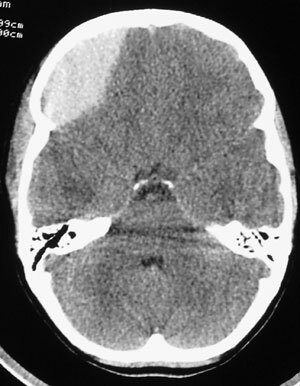 With the exception of surgical intervention (which is required in a minority of cases of severe TBI), most other essential elements of severe TBI management can be provided in the prehospital setting – airway protection, optimisation of oxygenation, prevention of hyper- or hypo-carbia, support of cerebral perfusion pressure, and ICP control. This paper, published in the Journal of Neurosurgery in 2008, reviews the evidence around the various elements of the pre-hospital severe TBI care ‘package’. Transport by helicopter for patients with severe TBI improves odds of survival compared with ground transport (OR 1.6-2.25) – this may reflect the presence of more skilled personnel on the helicopter, careful attention to post-intubation ventilatory parameters, and transport to a trauma centre. This entry was posted in Trauma and tagged airway, benefit of HEMS, HEMS personnel, RSI, TBI, ventilation by Scott Orman. Bookmark the permalink.